This Tablet is an amazing prize on its own! 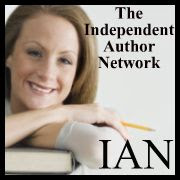 But this Kindle is jammed full of the best indie published ebooks by members of The Independent Author network. Hundreds of eBooks in all genres of fiction and non-fiction ready for your reading enjoyment. Not just another fancy eBook reader. 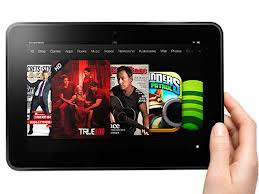 The Kindle Fire HD is a powerful tablet that compares to the best tabs in the business including the iPad 3 and Google Tablet. · Free Skype video calls with front-facing HD camera. The contest opens November 1st and closes on December 24th. The winner will be randomly drawn. Enter to win the Kindle Fire HD prize here! Follow this blog for contest updates! 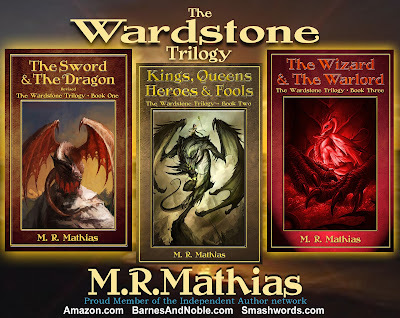 M. R. Mathias is proud to present his next fantasy series: The Legend of Vanx Malic. Book One of this fantasy serial – Through the Wildwood, has just been released and the reviews are coming in. Book Two will be available before Christmas 2012. The cover art for these titles is custom created, and by the look of the first one, these books will be well received. In addition, Mathias announces the audio book release of his award-winning horror thriller, The Butcher’s Boy, written under the name Michael Robb Mathias. This is the perfect Halloween read (or listen) and like all of Mathias’ novels, it is available everywhere books and eBooks are sold online. IAN. Please tell us about "White Mocs on the Red Road. JB. Some things in life happen that one could never foresee. The story you are about to read is about one of those things. Like most people, my life was pretty well laid out for me. Growing up in a small town in western New York, going to school, serving in the military, getting a job, getting married and raising a family. The typical American dream. The walk that follows was so far from my path that I doubt anyone even twenty years ago would have guessed that it would be how I would spend the rest of my life. My past wives and family knew me, as did my peers, as a business man and one who was vested in my community in Southern New Hampshire. Serving on boards of non profits, going to Rotary, doing Chamber of Commerce functions and running an insurance agency were a part of what I saw as my whole life. I was a three piece suit. What would come to be was never intended in my mind. In a time of transition, I began to look for answers about living that seemed to be missing in my life. It seemed as if the fulfillment of the promise of the American dream was somehow incomplete. I began to look for something to fill in the missing pieces. As I searched for that missing part I almost literally stumbled on the first people of this land. As I began to learn of their continued existence, they led me on an extraordinary path of understanding. These people who I did not even know still existed continue to have the gifts of a beautiful culture that respects all things. The goal for me then became to find those gifts. With the history between the original people of this land and the people who have more recently come here, it can be difficult to gain an understanding of the depth of the teachings within the culture of the Native American Indian. The trust level is understandably not there. The oral teachings carried by the Elders are not openly shared with just anyone who would ask. The original intent of my quest was to gain new insight and add it to my existing life. It was not to change my lifestyle or relationships. What came about began to take me from the life I had known and to begin an adventure into a different world. I found myself in transition to a person that I did not know existed within myself. My white heritage would be enhanced by the ancient teachings that we all once had. I would learn to wear white moccasins to walk a red road in order to better understand the original teachings of my own people. The path that I would follow would give me a new family, a new community to be a part of and a new identity beyond anything I could have imagined. The life style, values and dedication of my life would now change for the rest of my time. To all of this I can only say, miigwich! thank you! A. In real time about six months. The writing was sporadic over three years. A. My children and past wives were my inspiration. I was not attempting to write a book so much as to write an explanation to my family to help them understand the path in life that I had taken. The path that led me away from being a family and business man. I guess I wanted them to understand why Dad went crazy and that maybe it wasn’t so crazy as it seemed at the time. Q. Talk about the writing process. Q. Did you use an outline or do you just wing the first draft? A. I guess one would say that I winged it. I did some outlining to determine timelines or to reconstruct conversations that occurred in the writing. Q. How is “White Mocs on the Red Road” different from others in your genre? A. The first sentence of the book is a question for one thing. “What do you want me to do?” Most fellow writers advised against that. 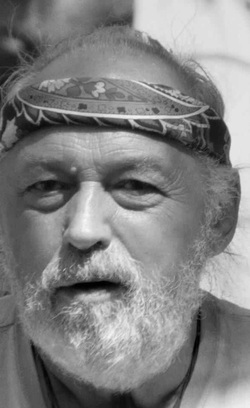 The book lays out what it takes to find a Native Elder that will share the inner teachings of spirit and cultural ways of the Native American Indian. It takes the reader on a journey into the depth of ancient teachings and ceremony that few, other than native people, have experienced. There are no books that take someone through that process in detail that I have found. Q. 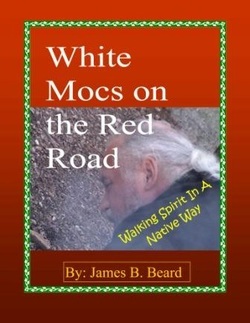 Is “White Mocs on the Red Road” published in print, e-book or both? Q. What do you hope your readers come away with after reading your book? A. Most important, the realization that they must pursue their dreams. What came to be for me was not what I thought I was after yet it is the best gift any man could ask for. I know who I am. I know where I came from and I know where I am going. Every moment in life is a gift and I have been gifted the way to live it. Q. Where can we go to buy “White Mocs on the Red Road”? Q. Tell us about your next book or a work in progress. Is it a sequel or a stand alone? A. What is in this book tells of the pivotal experiences of a progression through the teaching of my Elder over twenty or so years. I am presently writing on several subjects and more than one book will come. One writing is about Rangering on Mt Monadnock in New Hampshire. Another tells of travels with my Native brothers and sisters but in a novel format rather than a biographical way. I will always be writing and who knows what will come. I look forward to writing and can’t wait to see what comes myself. It was still dark out. I thought I heard something outside my tent and awoke with a start. What was that I wondered? Then I heard a crackling of a fire and saw light on the side of my tent. The crackling was close. That is my fire! I had put it out last night so how could it have started up with no wood. I heard someone pick up a piece of kindling and put it into the fire. It couldn’t be the kids?! “This is my camp!” I said, in as strong and firm a voice as I could muster. “Can I help you?” I tensely waited for a response. “Why don’t you come out and we can talk?” Said the voice from outside my tent. I quickly put on my pants and shirt, thinking to myself, this can’t really be happening. Who is this guy and what have I gotten myself into this time? As I came out of my tent I looked up at the man standing on the other side of the fire. He was tall, about 6’2” and had a strong solid looking build. His hair was black with gray streaks and hung loosely over his shoulders and down his back. 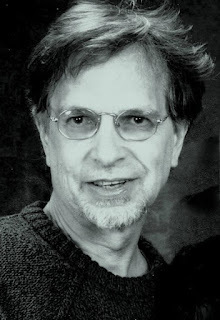 Even with the gray in his hair he didn’t look much older than his mid forties. His jeans were weathered and he wore an old sweatshirt with a faded picture of whales on it. The features of his face were unmistakably Indian and he had a proud and contented look about him. He looked to have a quiet and gentle demeanor and to be very much at peace with himself. I was taken back a little. How could this man find us out here? I thought, what did he mean, he knew we were coming? “I brought coffee,” he continued, and handed me a cup of Dunkin Donuts coffee. The coffee was hot, fresh and strong. No sugar added. It was just the way I like it. I went over to my car and took out a red wrap of tobacco to give him. I wanted him to see that I was aware of the customs of the Native people. “I brought tobacco.” I said, and handed a cloth wrap of tobacco to him. What is this? I thought. This isn’t believable. He looked up at me and straight into my eyes, yet somehow deeper. “Why do you ask about us?” He said. I thought to myself; well that is cutting to the quick of it. I told him that I want to understand spirit teachings of the people. What I have found about my own ancestors doesn’t give me what I am seeking and I am looking to the Indian to see if what I seek is there. Now I had said it! I am seeking an understanding of the spirit teachings of the Indian. I have felt drawn in this direction as I have become aware of the Indian over the past year or so.